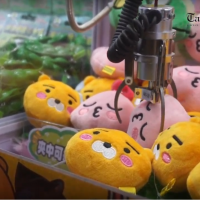 TAIPEI (Taiwan News) -- A psychiatrist in southern Taiwan says that many Taiwanese have begun to become addicted to the promise of "cute dolls" inside claw machines, disrupting both their professional and private lives, reported UDN. 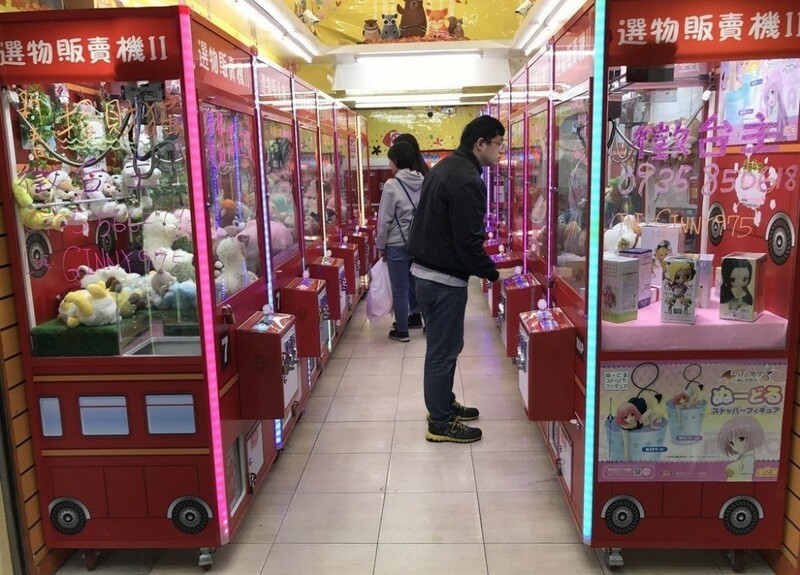 Tainan Municipal An-Nan Hospital psychiatrist Chang Chun-hung (張俊鴻), said that with the proliferation of over 10,000 claw crane arcades across Taiwan, many Taiwanese have begun to fall victim to a new disease he has dubbed "claw machine addiction." Chang cited the case of a 35-year-old man surnamed Lin (林) who worked as an elevator repairman in Hsinchu. Lin became so addicted to claw machines that he ran out of money to play them and ended up taking out a loan without telling his wife. Lin eventually became so desperate that he began stealing to raise funds to make payments on the loan and feed his claw machine addiction. His addiction ultimately caused him to lose his stable job and disrupted his life. In another case in Kaohsiung, a 40-year-old man surnamed Chang, who specialized in formwork on construction sites, spent all NT$20,800 (US$675) of his monthly salary on claw cranes. Despite spending such a vast amount, he was still unable to grab a set of Bluetooth speakers worth NT$650, so he resorted to using a powerful magnet to steal them instead. In the process, he triggered the shop's alarm and he was arrested on suspicion of theft. Chang said that from a psychological point of view, "cute dolls" have a healing effect. A psychological study of infants found that novel and bright objects can arouse people's curiosity and interest. Upbeat music can also enhance a pleasurable mood and stimulate impulse shopping behavior. Business psychology has long found that playing loud dance music can increase people's impulsive shopping behavior. Chang said that from the perspective of brain science, the human brain has a reward and feedback system commonly known as the "pleasure center." In 1953, American psychologist James Olds and Canadian neuroscientist Peter Milner inserted electrodes into the brain of a rat. In the cage, they included a lever which the rat could press to receive a brief pulse of electrical stimulation of "reward centers" in the rat’s brain called the septal area. Soon, the scientists found that the rat would rather press the lever than eat food. The rat's "reward centers" are referred to as the ventral tegmental area (VTA), which includes the nucleus accumbens and prefrontal cortex. Traditional addiction studies have found that cocaine, alcohol, and amphetamines can induce increased brain activity in these regions. New studies have found that infatuation (within three months), eating chocolate, and humorous jokes also increase activity in these brain regions. 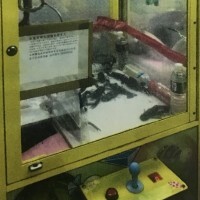 It is speculated that claw crane machines may stimulate the brain in a similar way by releasing dopamine and producing a sense of pleasure. Chang said that there are three characteristics of addiction: tolerance, abstinence, and loss of control. 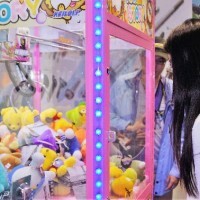 Now, new research finds that certain behaviors can also be addictive, such as playing claw games. Tolerance describes when the more one grabs more objects, the more it takes to get the same high. 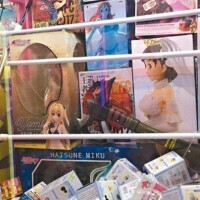 Abstinence refers to a person becoming frustrated when they cannot play the claw game. Loss of control occurs when the addiction starts to affect a person's work or school life, and they spend all of their money on loans to pay for the games. However, Chang said that each of these by themselves do not necessarily indicate addiction, instead, further evaluation is necessary. He suggested that those who suspect they may be addicted go to the psychiatric ward of a hospital for further evaluation. Chang said that many people actually have other psychiatric disorders, with 64 to 90 percent of adolescents having a substance addiction, and other psychiatric comorbidities, such as depression and attention-deficit/hyperactivity disorder (ADHD). He said these need to be treated together to achieve a more effective outcome. Non-drug treatments such as cognitive behavior therapy, neurophysiological feedback, school group therapy, family group therapy, mindfulness therapy, and therapeutic camps are alternatives, said Chang.